On Monday evening the 2018 Varsity Squad met in the Pavilion to elect the 2019 OURFC Men’s Blues Captain and after a challenging evening for all the candidates, Ed David was announced as the successor to Dom Waldouck. Ed (St Hilda’s) is a 5th year medical student who has already won three Blues, but very unfortunately missed out on last December’s victory as he dislocated his shoulder earlier in the term in the match against Canada. 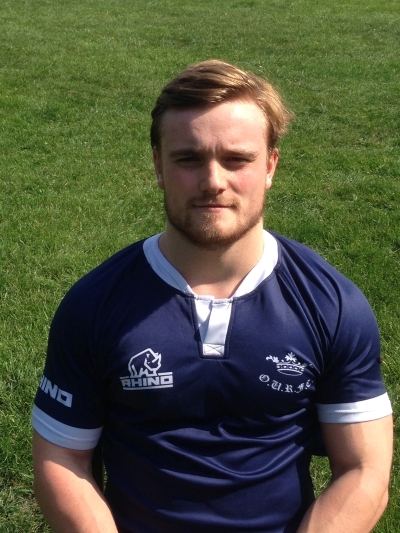 In his first year at Oxford Ed started for the Whippets and scored a memorable 85 metre solo try in their Varsity victory at Iffley Road, before coming off the bench to score another try for the U21’s in their Varsity victory at Twickenham. Those performances caught the eye of the Blues coaching team and he subsequently made his debut for the senior XV against the Army at Aldershot in the Hilary term. In 2017 Ed was Men’s Team Secretary. Ed will take over from Dom with immediate effect, the Men's Blues first match of 2019 is an away trip to take on Bristol University on Wednesday 23rd January. Ed will lead the Men’s Blues in an exciting year for the club, as we commence our 150th Anniversary celebrations in September with a visit to Japan to take part in the World University Rugby Invitational Tournament (WURIT) in Tokyo. Everyone at OURFC wishes Ed all the very best for his year in office. The 2019 OURFC Women’s Blues Captaincy will take place towards the end of Hilary Term.